This week we return to Scotland for the 147th renewal of the Open Championship. Carnoustie, situated just 11 miles from Dundee is the home of Carnoustie Golf Links, a venue which last hosted this event in 2007, when Ireland’s, Padraig Harrington outlasted Sergio Garcia, who was still desperately in the hunt for his first major title at the time. Only a select few in the field this week also played here in 1999, when a famous collapse from Jean Van De Velde allowed home favourite, Paul Lawrie to secure victory via three-way play-off in tough conditions. A star-studded field this week is headlined by none other than World No.1, Dustin Johnson who ranges from +1000 to +1400 depending on which bookmaker you prefer to use from this list of gambling sites. Jordan Spieth come from behind last year to win this event and his third major title, and for those of you who witnessed it, you may be perplexed as to why he is available at such generous odds this time around. His struggles with the putter have been well documented this season, but in recent weeks, when he seems to have got to grips with this issue, his ball-striking has somewhat deserted him. If he can get both to click, which is likely to happen at any stage, he will be contending for trophies once again, just as he did when finishing T2 at the Masters in March. Joining Johnson and Spieth as most likely winners are 2014 Open winner, Rory McIlroy, and England’s, Justin Rose. Rose, despite finishing T4 on his Open debut as an amateur in 1998, does not boast the strongest record in this event, but he’ll be looking to put that right, on a course he’s played well in the past. The Englishman finished T12 here in 2007, when conditions were much better than 1999 when he missed the cut. A much better player these days, Rose will look to focus on his two top-6 finishes (1998 and 2015), as opposed to his cluster of average showings. Jon Rahm, Rickie Fowler and Tommy Fleetwood all make strong claims to grab their first major victory here at Carnoustie, whilst Brooks Koepka will be looking for back-to-back majors, after successfully defending his U.S. Open title last month. Fowler will be of particular interest to many this week, as he is perhaps now the most overdue golfer for a major championship. He has finished T3 or better in each major championship now, including a T2 in this event in 2014. A T4 finish in the 2011 Open at Royal St Georges shows he can also play tough courses, during tough conditions, and he’ll be hoping for a top effort once again this week. Whilst he has not finished better than T22 in this event, since that T2 finish at Hoylake, Fowler is coming into the week off a strong showing at the Scottish Open where he finished T6. As is so typical of links courses, the best defence for Carnoustie will of course be the wind, however this is still a difficult and fairly long layout, with a particularly tough stretch of finishing holes. In 1999 this course was set up so tough, that as soon as we had adverse weather conditions hit, it almost became an impoosible test. Eight years on, it was still a challenging golf course, but the scoring was much fairer and I suspect we will see that again this time around. Carnoustie is one of three courses used for the Alfred Dunhill Links Championship, and whilst it is setup easier in this tournament than it is, when hosting the Open, it still poses a challenge on the week. Tommy Fleetwood currently holds the course record, with the 63 he shot during last year’s Dunhill Links. Whilst it is difficult to envisage such a low score being shot this week, if the conditions suit, players will take heart from Fleetwood’s record score, which shows this course can be tamed. In 2007, Richard Green shot a 64 and both Ben Curtis and Hunter Mahan shot 65’s, all three saving their best until Sunday. A big facet of a player’s winning formula in an Open Championship always has to be patience and bounce back ability. There are times when you are going to get a bad lie or not get the rub of the green, it just happens in this major. What you have to do here is take it shot by shot and plot your way methodically around this golf course and the others on the Open rotation. A good head on your shoulders is more important than ever in this championship, especially at Carnoustie, so if a mistake is made, how a player responds will be huge. Hitting the ball straight could be key, as the fairways are only 28 yards wide and the rough can be penal. With the run players will get from the ball, especially if the course remains as dry as it has been, the players will have plenty an opportunity to club down and find the short stuff. Tiger Woods famously won the 2006 Open Championship at Hoylake without ever pulling driver off the tee, and whilst I suspect whoever wins this week will use driver a reasonable amount, having the opportunity to leave it in the bag on occasion, will certainly favour some players. The ability to escape the sometimes horrendous pot bunkers as well as play well out of your average greenside bunker is a skill any Open winner should have in their locker, so looking at those who have been successful in sand saves and scrambling, as well as having Open experience, should certainly be of interest. Last year, aged 23, Spieth became the second-youngest Open Championship winner of the 1900’s, behind only Seve Ballesteros, who won it three months after his 22nd birthday. It is unusual for such a young winner in this major, with the average age of the last five winners at 34, which was dramtically lowered by the wins from Spieth and the then 25-year old, Rory McIlroy. In just the last 10 years alone, Henrik Stenson (40), Zach Johnson (39), Phil Mickelson (43), Ermie Els (42) and Darren Clare (42) have all won this event when in or fast approaching their 40’s. Of the last five Open Championship winners, four had a win in one of their previous five starts leading into Open week. The exception was Zach Johnson who won at St Andrews in 2015, and whilst he hadn’t won since January 2014, his recent form read 19-4-72-6-3, with the 3rd coming the week before at the John Deere, so he was clearly at the top of his game. With this in mind, it appears you are best to avoid those who have not at least contended in recent weeks. Each of the last five Open winners have finished 6th or better in at least one previous Open Championship before claiming the Claret Jug. Of the last five winners, only Jordan Spieth has come to the event without playing the week before. None of the last five winners finished outside the top-14 on their most recent start before the Open Championship, suggesting current form is key. Two players (Spieth and Mickelson) made it back-to-back wins as Spieth had won the Travelers Championship a month before winning at Birkdale and Mickelson won the Scottish Open the week before winning at Muirfield in 2013. Spoiler alert straight off the bat here, but Brooks Koepka will not be the only 2018 major champion I pick this week. Both Koepka and Patrick Reed make great cases again this week, with Koepka the slightly more obvious pick, with the superior Open record. After missing the cut in his first Open Championship and a 67th place finish in his second start, Koepka looks to have figured out this championship. He finished T10 at St.Andrews in 2015 and bettered that again last year with a T6 finish at Royal Birkdale. I think Koepka’s game is adaptable to any course, for any event, in just about any conditions, such is his versatility. Koepka scrambles as well as most in the world of golf at the moment (14th on PGA Tour), and given his strength, any time he may find himself in the long stuff off the tee, there is every chance he can advance the ball far enough. Given how baked the course is right now, Koepka will be able to attack the fairways with iron off the tee if needs be, which is a great option to have. A 19th place finish last time out means he doesn’t quite meet the top-14 in their last start criteria, but he has been excellent since returning from the wrist injury that kept him out of the Masters, and that 19th place finish was admirable, given it came just one week removed from the U.S. Open. Whilst he is just 25/1, I think he is still overlooked in the market, considering he has seven major top-10’s, including back-to-back U.S. Open wins, since 2014. He has also only missed the cut in a major twice in his career (first two starts) and has finished T15 or better in 10 of his 17 starts (58.82%). Patrick Reed is slowly becoming a master of major championships, which is fitting given his first major win came at Augusta. Reed now has top-4 finishes in three of the four major championships, and he can complete the book here, where he can improve greatly on his previous best, T12 finish in this championship. Two missed cuts sit either side of T20 and T12 finishes in this championship and whilst the American has not yet contended in this event, he has shown further evidence that he has the required skill-set to succeed in this event with a T10 finish at the 2015 Scottish Open. A threat now every time he tees it up in the majors, Reed still looks underrated in this market, for reasons I can only assume are outside of his golfing ability. Reed has the ability, the attitude and the desire to add to his Masters title, evidenced by his very next major start after winning at Augusta. Reed finished T4 at Shinnecock Hills last month, and sat just three shots back after both the 3rd and final round. For a player that has finished 2nd, 1st and 4th in his last three major starts, I see absolutely no negatives in backing to go well here as well. He is clearly now ready to build his schedule around winning the big tournaments each year, and like everything in his life, he certainly does it in his own way. Statistically speaking, Reed ranks highly (19th) in Scrambling, and only three players who have played as many rounds as Reed rank higher. This contributes greatly to Reed ranking 3rd in SG: Around-the-Green, which could be key to any success this week. I would have liked him to rank slightly higher in Sand Save % (41st), but I am sure he can deal with the bunkers at Carnoustie. Now trends wise, Reed is going to have to go against the grain, but he does that all the time. He did not finish T14 or better last time out, and he does not have a top-6 finish to his name in this major. He does however have a win already this season, and enough Open and links experience to call upon. Reed is certainly the type of player I can see winning two majors in a year, as he seems to be immune to pressure and for that reason amongst many others, he looks an ideal player to have onside here. At 33/1 I think there is plenty of value in him, especially after going well enough (T23) at the Scottish open last weekend. I absolutely love Alex Noren’s chances this week, and have done for a long time. I placed a bet on the Swede to win this week back in February, after he finished 3rd at the Honda Classic on the PGA Tour. Not only did he look in great form at that time, but it was almost inevitable to me that he would win again before this major rolled around, and he duly delivered. Took the 50/1 Noren to win The Open. Every chance, and on two occasions this year has nearly won on the PGA Tour. Good chance he wins another event before Carnoustie and price goes. Noren will come into this event, after winning last time out at this year’s Ryder Cup venue, Le Golf National. Prior to his win, Noren had finished top-25 at the Players Championship, the Italian Open and U.S Open, as well as finishing 3rd at Wentworth, where he was defending. It has generally been boom or bust for Noren at the Open Championship, where he finished T19 on debut in 2008, before missing the cut in both 2010 and 2011. A T9 finish at St.Georges in 2012 reminded us of his ability to play links golf, but misery struck again in 2013 when he forced to withdraw due to injury. After a two-year absence, Noren finished T46 at Royal Troon in 2016, where countryman, Henrik Stenson came out on top, but it was 12 months ago that Noren really piqued my interest. A T6 finish at Birkdale was his best Open finish to date and he can certainly build on that this week. With this showing last year and his win last time out in France, Noren ticks two very important boxes, and that only strengthens my interest in him. He took the past fortnight off, but he has had a fairly busy schedule, playing both Tours this year, and I am not going to let him taking a break from tournament play against him. Everyone knows full well how much he would have practiced in the two weeks, such is his high work ethic. Noren shot 64 around this course last year, during the Dunhill Links, just one shot shy of Fleetwood’s course record, and that is only another promising sign. At this event, it is key that you have confidence in your picks to play in any weather conditions, but whilst the forecast looks rather benign right now, I would have the same confidence in Noren, should the situation change dramatically. He has played in enough adverse weather conditions to know how to cope, and now a perennial winner these days, there seems to very little that can come between Noren and victory. Marc Leishman has a formidable record in this event in recent years, the only thing missing? A win! In 2015, at St Andrews, Leishman had every chance of securing his first major title, after finding himself in a three-way play-off with Zach Johnson and Louis Oosthuizen. The Australian unfortunately found a divot with his tee shot, on the opening play-off hole and was punished as a result. Looking back to Birkdale last year, Leishman finished inside the the top-6 for the third time in four years, after finishing 5th in 2014 and 2nd in 2015, so he will certainly expecting to be a factor this week. Leishman made a great start to his week at Augusta earlier this year, sitting in 2nd place after 36 holes, and was also 6th after 54 holes. He run out of gas in the end, but still managed to finish in 9th place, another stellar showing in the majors. Whilst he didn’t make too many inroads at the U.S. Open last month, it must be this major that Leishman circle each year, when he looks at where he can break his major duck. Leishman’s form this season has been excellent, finishing inside the top-10 seven times. Two of those top-10’s were runner-up finishes, firstly at his season-opener, as Justin Thomas held him off in a play-off, and then again at the Byron Nelson, where Aaron Wise beat him by three strokes, despite Leishman shooting 61 in round one. He finished T13 last time out at the Travelers and also has multiple top-6 finishes in this event, so fits the more important criteria this week. A fine Open record, an ever-improving major record overall and a better win ratio after wining the BMW Championship las September, I see no reason why Leishman can not only contend in this major once again, but secure his first major title. There used to be a misconception that this event favoured British players, but Americans have largely dominated this event, winning three of the las five renewals and ten times in total since 2000. One player that has played his part in this run is 2015 winner, Zach Johnson. After initially suggesting St Andrews was too long for him, he went on to put in a stellar performance, and outlasted both Oosthuzien and Leishman to claim his second major title. In total, Johnson has played in 14 Open Championships, winning once and finishing inside the top-20 on six more occasions. Since 2011, Johnson’s record in this event reads T16-T9-T6-T47-1-T12-T14, which is absolutely incredible. One of his seven top-20’s came here at Carnoustie in 2007, despite getting off to a slow start to the week, opening 73-73. He bounced back over the weekend with rounds of 68-70 and in the end finished just three shots shy of the top-10. Given his play over the weekend in 2007, it is fair to suggest that Johnson should be comfortable enough with this layout, especially if the adverse conditions stay away, and he has certainly been in decent form all season to boot. After staring a missed cut in this face this past weekend at one his favourite events, the John Deere Classic, Johnson bounced back brilliantly, closing with a final-round 64, to finish in a tie for 16th. This final round is a great way to end the week, and give him a confidence boost, heading into another favourite event of his. 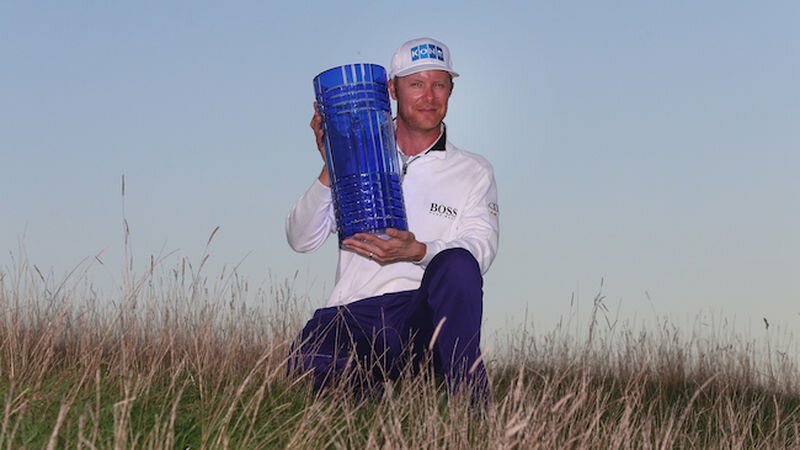 A former Open winner who has three consecutive top-19 finishes coming into the week, Johnson looks to have every chance of winning the Claret Jug for the second time, and become a three-time major winner. 100/1 about a player of his credentials, with the form he is in, certainly represents great value in my eyes. Tony Finau is a big-time player, and whilst he has still only got one PGA Tour win to his name, he does have a stellar major record. In 2015, Finau made his debut in the U.S. Open and PGA Championship, finishing T14 and T10 respectively. This was a great start to his major career, but it of course meant raised expectations for the big-hitter in 2016. That new expectation showed as he missed the cut in the two majors he impressed in 12 months prior, but he did manage a T18 in his Open debut. 2017 was another average year for Finau, who finished T27 in his second Open and T44 in the PGA, but it 2018 where he has really shown his major pedigree. He finished T10 in his first Masters, despite dislocating his ankle at the Par 3 contest when celebrating a hole-in-one. His efforts at Augusta were followed up with a T5 finish at the U.S. Open last month, an experience he won’t forget. Finau and Daniel Berger flew through the pack in round three as they took advantage of the favourable conditions, and in the end the pair found themselves in the final group on Sunday. Whilst Finau couldn’t convert on the Sunday at the U.S. Open it would certainly of benefitted him experiencing that kind of pressure, and may now be better equipped should he be in a similar position this week. Given his success in limited major starts, on top of his stellar form this season I think Finau is well overpriced here, and shouldn’t often start a week as a three-figure prospect, unless there has been a dramatic loss of form. Finau has posted five top-10 finishes, including his efforts in the Masters and the U.S. Open and two as well as runner-up finishes at the Safeway Open and Genesis Open. Form is clearly no issue this season, even if he only managed a T21 finish las time out. Finau opened with three straight rounds of 67 at the Greenbrier, but a final round 71 saw him drop down the leaderboard. His consistent scoring through the firs three rounds is huge and will hopefully give him confidence ahead of his third Open Championship. With this in mind, I think he is in a great position to post his best finish in this event to date. With 10 places up for grabs with SkyBet, there is potential for a 20/1 payout just for finishing inside the same position he has in his previous two majors this season, which I think is massive. There will of course be some doubts about whether he can win a major, when he has won just once on Tour, but the each-way value alone is just too much to ignore.